It’s been just over one year and around 5,500 miles since Felkerino and I said goodbye to our Co-Motion Speedster and began riding our Co-Motion Java tandem. Now that we’ve put both of these tandems through their paces, I wanted to compare the two bikes and revisit the choice we made to replace our Speedster with the Java. 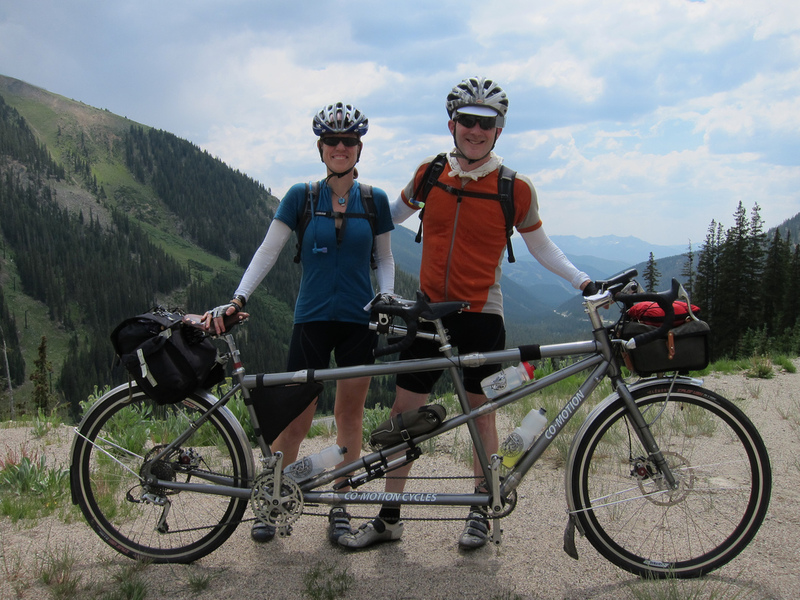 Felkerino and I originally decided on purchasing a custom-sized tandem after completing the Cascade 1200K on our size Large/Medium Cannondale mountain tandem, and realizing that there was no stock frame out there that would fit us without a painful compromise over long events. The Cannondale was too small for me, and Felkerino could not get the bars high enough and still maintain good handling of the bike to make it work well for him. 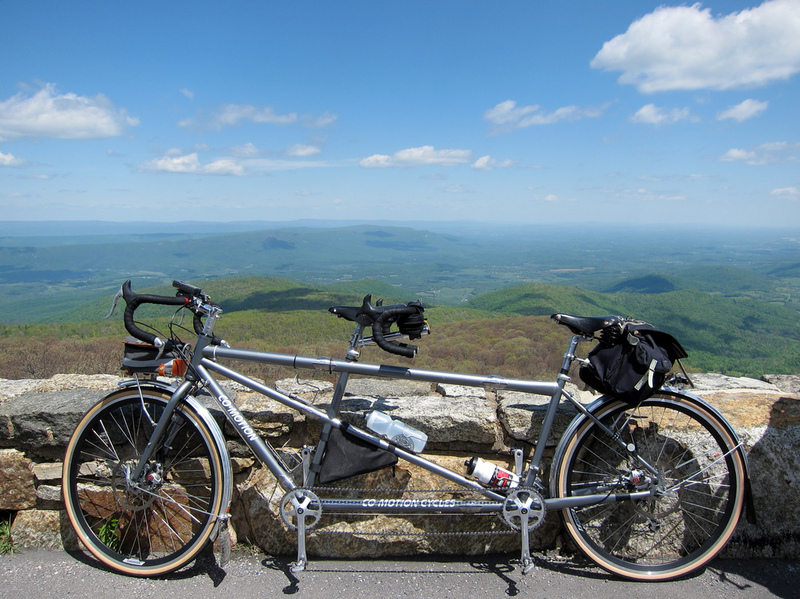 Felkerino and I set our sights on a randonneuring tandem for brevets and sport touring. We decided on a Co-Motion because of their solid reputation for making quality tandems and purchased a Co-Motion Speedster. I still remember the first time I pedaled the Speedster. It felt like one of my single bikes– except that Felkerino was in front of me and I couldn’t steer or brake. The fit was perfect, no compromises. The Speedster was awesome on downhills. It went smoothly in and out of corners. However, for some reason it was always somewhat noodly whenever we climbed something with any significant grade. That made it difficult for Felkerino and I to find a good climbing rhythm, in addition to it feeling as though we were fighting the bike. 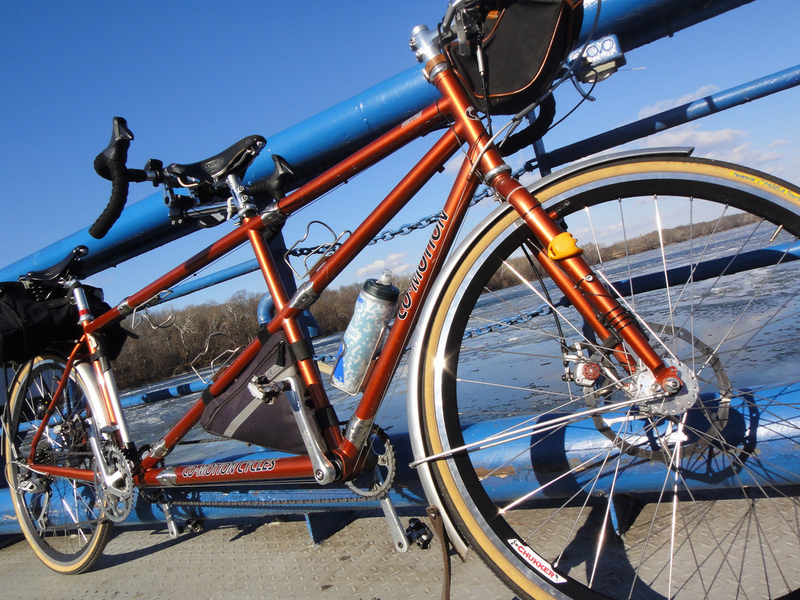 Also, we decided that we wanted to do more than randonneur with the Speedster. We wanted to tour on it. Granted, Felkerino and I are credit card tourists so we travel pretty light, but even so the Co-Motion did not shine with any significant load on it. The additional weight added to the noodly feel in the front. We were also limited in our tire clearance. The Speedster was made to handle 32s and fenders fairly comfortably, but anything beyond that was likely not going to work. After we finished the Colorado High Country 1200K, we noticed a problem with our bike and Co-Motion worked with us to build a replacement frame. At that time, Felkerino and I elected to go with the Co-Motion Java tandem. Felkerino wanted something stronger and more versatile than the Speedster, a bike that we could use not only for randonneuring but also touring. 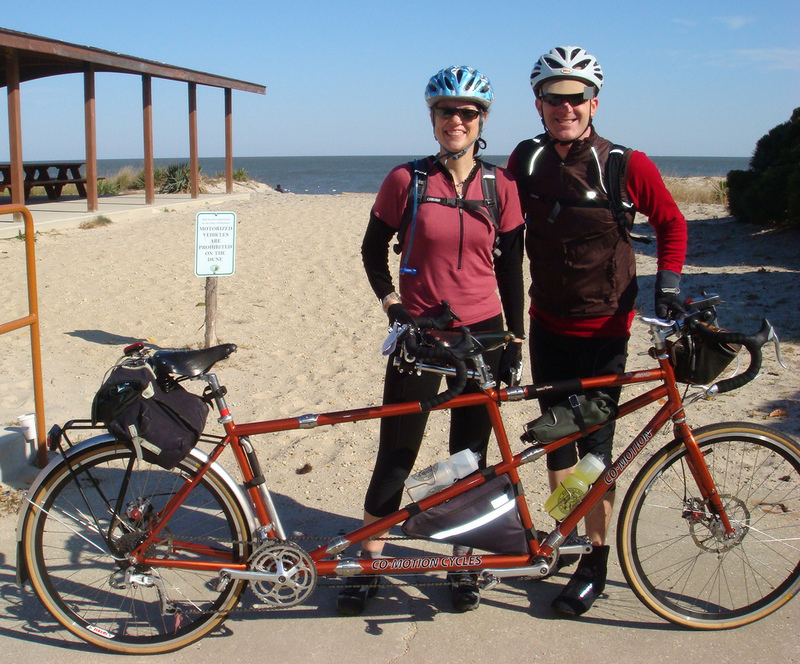 In addition, he wanted a bike that could take bigger tires and which would allow us to tour in places with rougher road surfaces. We both wanted to be able to ride with bigger tires and still install fenders. The Java arrived and was built up mostly from our Speedster parts, and at first glance I thought it was way too much bike. The Java’s tubes were larger than the Speedster, the fork seemed gigantic to me. The Speedster was a sleek genteel machine, and this bike seemed too burly, possibly with no manners. It’s silly to say now, but then I looked at the Java I thought it would make us slower. Now that we’ve had the Java for a year, I have fallen in love with this bike. The Co-Motion Java is one tandem to rule them all. The fit is perfect, equal to the Speedster. It does not corner as well as the Speedster did on downhills, but it makes up for that with its amazing climbing feel. It is responsive yet solid whenever Felkerino and I stand out of the saddle and climb. When we tour on the Java, the handling is not compromised by the additional weight. It still feels great. The Java is a treat to ride off-road. We have yet to try it on extended segments of really rough gravel, but we rode up several unpaved Colorado climbs during our weeklong tour last year, and the Java didn’t flinch. After a year with the Java, I am no longer bothered by its imposing size. And when I’m riding, I forget about its beefiness and just enjoy the great ride it delivers. Even off the bike, it does not appear as big to me as it did originally. 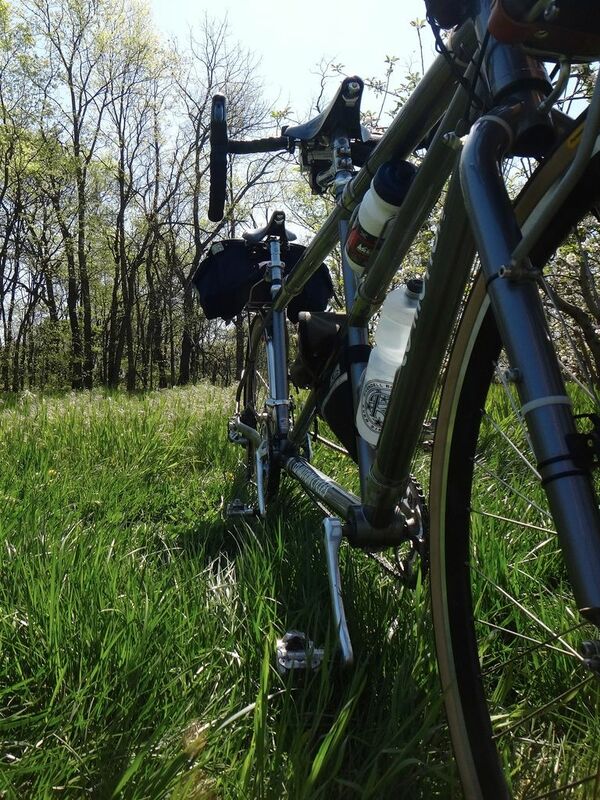 While the Java is perhaps overbuilt for brevets, Felkerino and I do other types of riding in addition to randonneuring, and I like having one bike that can do it all. 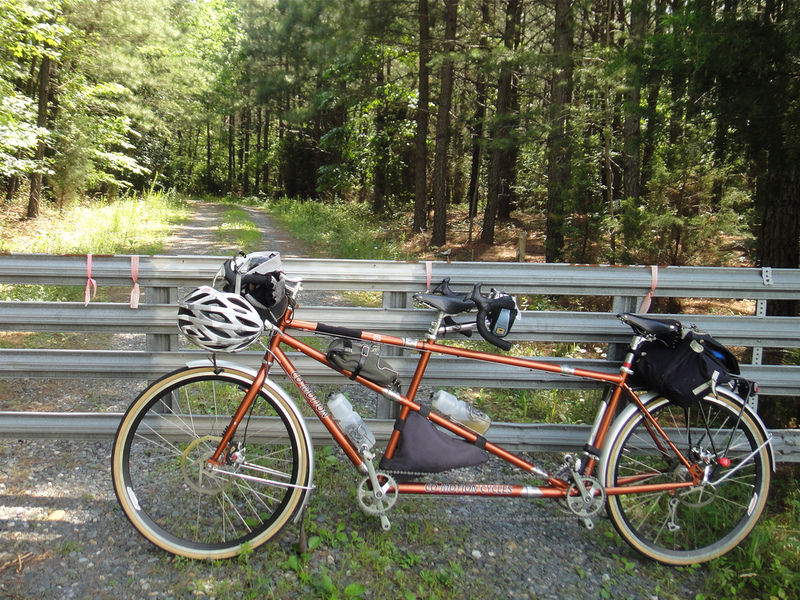 Yes, we randonneur, but we also tour, ride gravel, and want to take our bike places that we haven’t even thought about yet. Whatever we choose, the Java is ready. thanks MG, did you consider getting one with a Rohloff Hub? 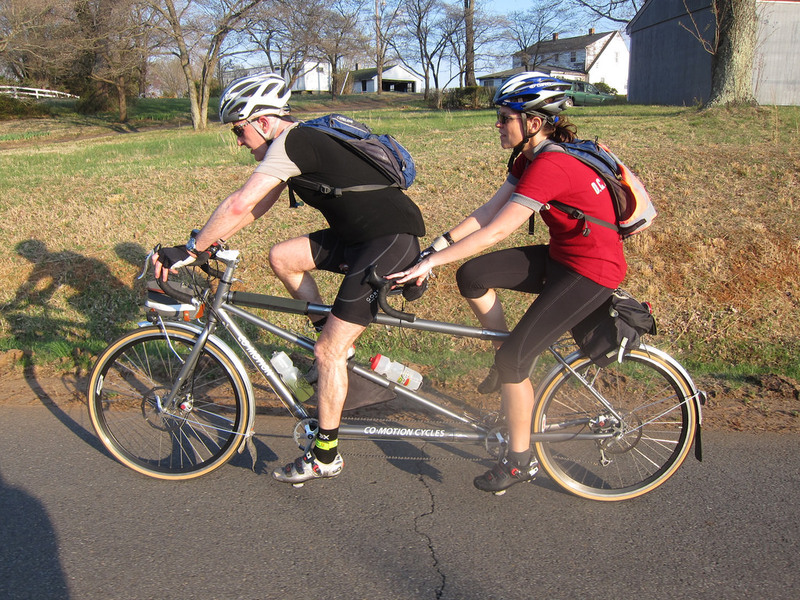 I was just researching Co-Motion Tandems yesterday. No, we did not explore that. I would be curious what others have found out about it, though. Thanks MG, I have been dreaming of owning a Co-motion single for years..(Americano maybe)? I would also been interested in the Rohloff hub..
Their singles look sharp, too, and a Rohloff sounds like it would be great for touring on a single. Likely a tandem as well, but have not done any research to say. When did the Java lose the downtubes and go with boom tubes only? I’ve got little experience with our DaVinci, but I love it so far! I’m not sure if they ever had a lateral for the Java. We asked them to make our Java with a lateral, given our size and the type of riding we wanted to do with it, even though Co-Motion said it would be stiff enough without. I saw you had a Davinci… you’re using the asynchronous pedaling, right? Curious how that works on rando rides, although I have seen it done. You can most definitely pedal in-sync. I opted for the independent coasting to help my wife have a more comfortable ride – I can grind it out, she can take a breather. In other words, I hope it bridges the experience gap. 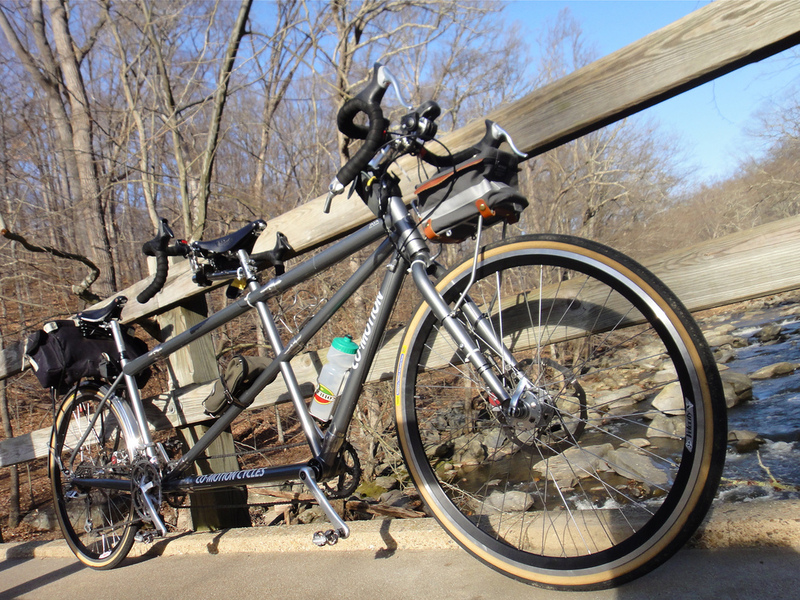 I prefer to pedal in-sync as it keeps us more stable – as we’re new to the whole tandem thing. There is a couple in Texas who rode a DaVinci and it was by their suggestion I got one. One has the super duper galaxy award and the stoker has the mondial. One day I’ll drag my wife out for a 200k…. 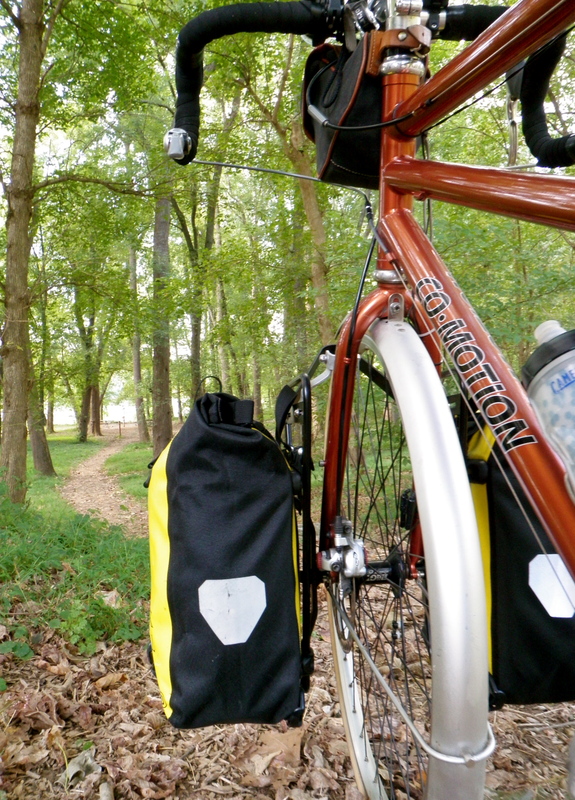 We’re switching back and forth with the tire size. 32s for randonneuring and 38s, I think, for touring. They could take wider than 38s, I suppose, but then fender clearance would be an issue. The Rohloff option adds 2K to the price but it does look fun and very interesting how well designed it is. Did you consider that Thudbuster Seatpost option? Brooks is always the right solution. I can see Ed’s point on the Rohloff. If money was of no concren, I would go with the Rohloff. It just sounds fun to not deal with a derailer. Reblogged this on I am Drain.. I have an Equator frame with the old components from our Speedster Rohloff. Now I’m in the process of getting the needed components to rebuild the Speedster. As Dwan says I can have one with fenders for when it rains and one without for the nice days. Also I have an Americano Rohloff…the service required on the Rohloff hub is to change the oil every 5000 km ….considerably less maintenance than maintaining chains and derailers. Rohloff is the way to go in my opinion but be sure to upgrade to the Co-Motion shifter which mounts on the bar near the stem rather than use the Rohloff bar end shifter. I found a used 2012 Speedster Rohloff that’s in excellent condition that I’m thinking of getting. It has the old CDC belts-do you think it’s worth upgrading to the CDX (I think I can do it for less than $300)? Also worried re the higher tension required by the CDC system. Also, any experience with the BodyFloat seat post vs the Thudbuster? Bob, you’re beyond our technical knowledge. We use a regular rear derailleur and chains. Mary uses a standard seatpost and a sprung Brooks saddle, read the comments above for her take on Thudbuster posts.